There are another 520 Dragons who have turned their tassels, leaving their world at Lake Orion High School behind as the embark on a new journey to make their marks in the world. 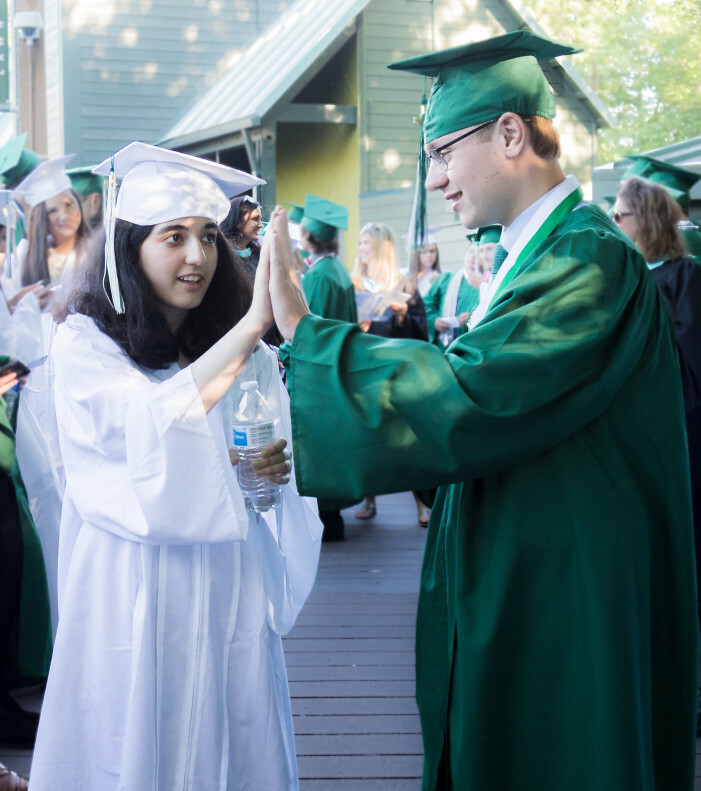 The values and lessons the graduates have learned during their time at Lake Orion have prepared them for the challenges they will face in the world. It is now up to each of them to soar to the heights of which they dream. The Class of 2018 has proved time and again their commitment to excel, Hawley said, pointing out the record number of awards in athletics, the arts and scholarships the class has earned. She reminded them about NASA Astronaut Dr. Drew Feustel, a 1983 Lake Orion graduate who recently traveled to the International Space Station and, while aboard the station, held a Q&A chat with area college and high school students, including 150 LOHS students, via a live NASA downlink. Feustel, Ginopolis said, admitted that he didn’t do as well in high school as he would have liked and knew he had to do more to realize his dream of becoming an astronaut. He started off at community college, worked as a mechanic, continued to strive and excel, and is now an astronaut. Seniors Allison Anker and Eldon Pearson gave the student message addresses on “Defining Moments” and “A Series of Seconds” respectively. “What now?” Anker asked, reminding the graduates that their futures are in their hands for the very first time. Board of Education Vice-President Birgit McQuiston urged the graduates to “embrace the amazing characteristics of Dragons” as they move on to the next stage of their lives, reminding them that they join the ranks of the Dragons who have gone before.